Originally published in The Clarinet 44/2 (March 2017). Printed copies of The Clarinet are available for ICA members. After 43 years of performances as the Verdehr Trio, clarinetist Elsa Ludewig-Verdehr and violinist Walter Verdehr gave their final concerts as an ensemble in 2015. However, their endeavors are far from over. Thousands of performances around the world, many recording sessions and transcriptions of 18th– and 19th-century works have left a number of loose ends, according to Elsa Ludewig-Verdehr. Never inclined to rest on their laurels, the Verdehrs have been diligently at work organizing the various aspects of their scholarly and creative output. They intend to ensure that their numerous commissions and arrangements are accessible to future generations in both recorded and printed form. 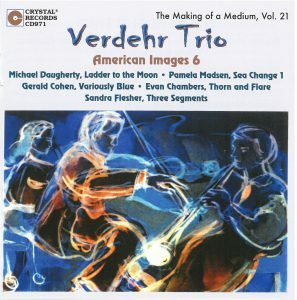 American Images 6 is the sixth disc of American works either commissioned, composed or adapted for the Verdehr Trio, with Sylvia Roederer at the piano. The opening two tracks comprise a substantial 2011 transcription by Michael Daugherty titled Ladder to the Moon. The original version was the result of a commission by the Chamber Music Society of Lincoln Center for solo violin, wind octet, double bass and percussion. According to the liner notes, it is a musical tribute to the art of Georgia O’Keefe. Set in two movements, each has a descriptive title. Daugherty states that the first movement, “Night, New York,” is a musical perspective on skyscrapers as seen by O’Keefe while painting from her high-rise apartment at night. 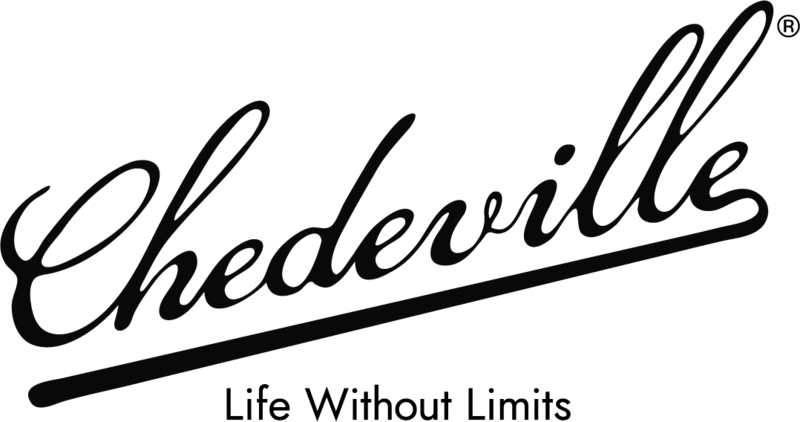 The latter movement offers the perspective of a skyscraper painted from the ground “Looking Up” and pays homage to O’Keefe’s 1927 painting of the Radiator Building. If I had not researched the work, I would have never suspected it was a transcription! The trio’s performance displays flawless intonation, ensemble and phrasing with conviction throughout. To conclude this disc, the trio offers Sandra Flesher’s Three Segments, which was originally written for oboe, violin and piano in 1978. In the liner notes, the composer recalls a long friendship with Elsa Ludewig-Verdehr dating to their student days at the Eastman School of Music. Hence, she desired to contribute to the trio’s repertoire. At the suggestion of her husband and copyist, Three Segments was adapted and expanded. Each movement is attractive and charming. However, the second movement, “Valse Lente,” is my favorite, with its nostalgic atmosphere and unexpected, beautiful changes in tonal center. Additional fine compositions, including Pamela Madsen’s Sea-Change 1, Gerald Cohen’s Variously Blue and Evan Chambers’s Thorn and Flare, complete this volume from Crystal Records, CD971. 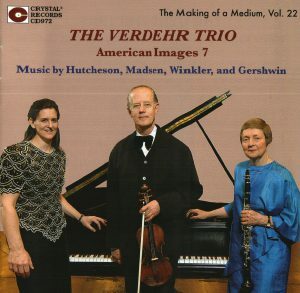 American Images 7, Crystal Records CD 972, “represents several firsts and lasts” for the Verdehr Trio, according to the liner notes. Two of the works, Rondo Brillante and Nocturnes of the Inferno by Jere Hutcheson, were the trio’s first commissions. In fact, the opening track of this disc is the live world premiere of Rondo Brillante dating from 1973 with the trio’s first pianist, David Renner! As one might expect, the recording quality is rustic with distortion and the audio noise associated with the technology of those days. However, I appreciate the ensemble’s willingness to share this archival recording. It offers the listener the unique perspective of a live concert recording. Also, this performance is nothing short of astounding – it has the same polish in regard to intonation, ensemble and musical conviction we have enjoyed from the trio’s many studio recordings! My favorite work on this disc is David Winkler’s Warhol Appassionata, which was the result of one of the trio’s later commissions. According to Winkler’s notes, this composition was premiered at the Andy Warhol exhibit at the National Gallery of Art in Washington, D.C., on March 18, 2012. The composer cites Warhol’s portraits of Beethoven as a significant inspiration, as the title implies. As one listens to this expansive work of nearly 20 minutes, the homage is quite obvious. Virtuosic passages and lush, neo-romantic harmonies are contrasted throughout by simple, beautiful melodies and lighter, more Viennese textures. To conclude this disc, we are treated to a live performance of George Gershwin’s Promenade arranged by Armand Russell, which is published by Warner Brothers Music Corp. This performance was an encore selection from the trio’s final concert on March 15, 2015 in Leon, Mexico. This was the 58th country the trio visited and these are the final sounds made by the ensemble after 43 years of performance. What a humorous way to conclude such a remarkable, global legacy of concertizing and recording! 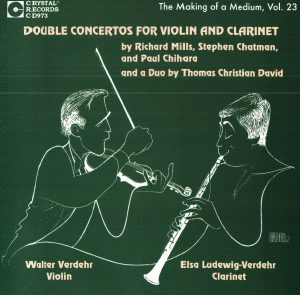 Double Concertos for Violin and Clarinet (Crystal Records CD 973) features the husband/wife duo of Walter Verdehr and Elsa Ludewig-Verdehr in both double concerto and duo combinations. Each double concerto is recorded with a symphony orchestra of note, which is a testament to the exceptional reputation the group attained over the years. The other standout on this disc is Paul Chihara’s Love Music: Concerto for Violin, Clarinet and Orchestra, which is a studio recording with the Slovak Radio Orchestra conducted by Kirk Trevor. In the liner notes, Chihara mentions that this work is his first that lives in the worlds both of film and concert music. Accordingly, it is lyric and romantic with phrases passed between the Verdehrs that sound like a conversation. 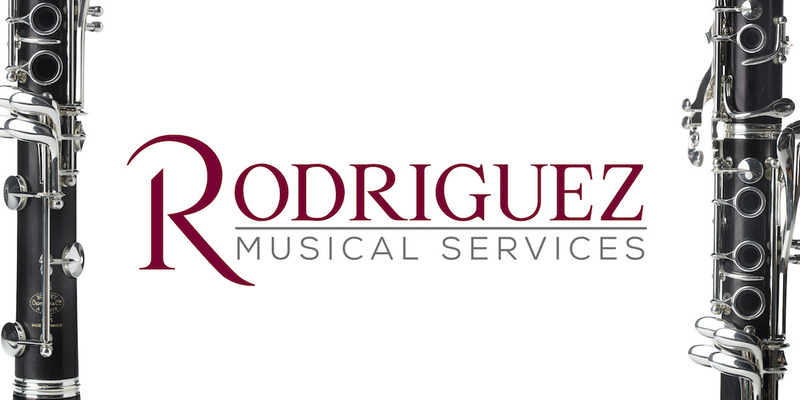 The orchestra is supportive without overpowering the featured artists. Various solo moments from principal wind players are eloquently phrased. Due to limitations of space, it was impossible to discuss each work in detail. However, each recorded performance and composition is worthy of attention, so I am hopeful that this piques your interest to explore further. These three volumes receive my highest recommendation, and I look forward to the Verdehr Trio’s next release, International II, out this spring!